Egypt, just the name is enough to set your imagination spinning back to the start of recorded human history – to a time when all-powerful Pharaohs controlled a mysterious and fabulously wealthy empire which lasted virtually intact for over 5,000 years! 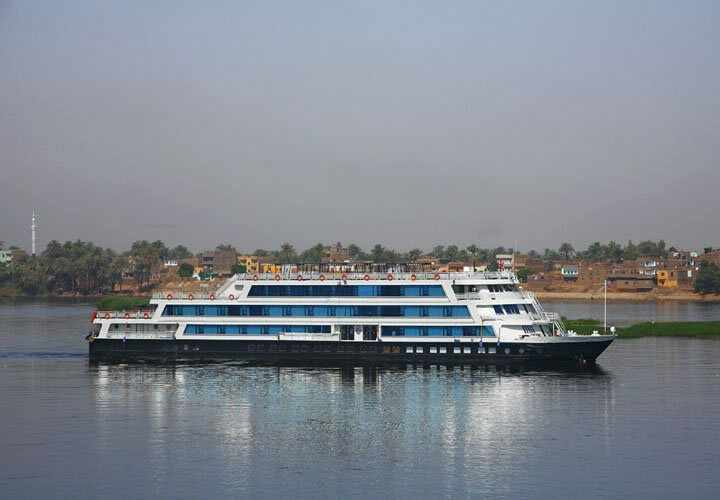 This 11 day Nile cruise explores the mighty monuments, the intriguing history and the extraordinary artistic masterpieces from the greatest and oldest of all the ancient civilizations. Arrive at the airport to take your direct flight to Cairo. After your late evening arrival, transfer to your home for the next 10 nights, the MS Darakum. After breakfast explore Old Cairo’s Christian history with a visit to the remarkable 9th century ‘Hanging Church’, built over a gateway to the Roman-era Babylon fortress. With its wooden barrel-roofed interior this makes for a fascinating introduction to Egypt’s long Coptic heritage. Continue to the Coptic Museum and the nearby Ben Ezra synagogue, said to be the place where the Pharaoh’s daughter found Moses in his basket amongst the reeds. Return to the ship for lunch.“This day of days, the most wonderful that I have ever lived through…” is how Howard Carter described the day in 1922 he realised he had made the archaeological find of the century. King ‘Tut’s’ tomb held so many treasures that it took 10 years to examine, photograph, catalogue and finally remove all 3,500 of them. The collection forms the centrepiece of the Egyptian Museum, without question one of the world’s greatest museums, a treasure-house overflowing with artifacts of remarkable ancient craftsmanship, ranging from the mundane to the mystical. The famous Royal Mummy room may be entered upon payment of a small additional fee. 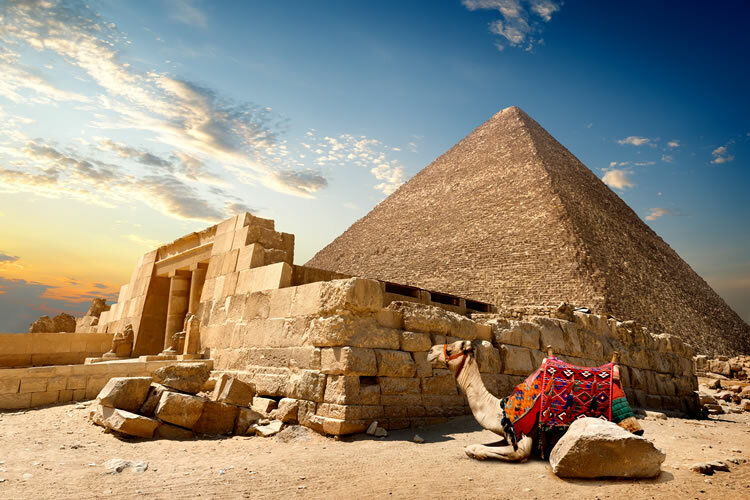 Today drive out of the city towards the Giza plateau for your first close-up view of the Great Pyramids. The truly gigantic size of the three main pyramids only becomes fully apparent when they tower above you in all their majesty. For the more adventurous, entry into the pyramids is available at extra cost payable locally, but for the Great Pyramid of Cheops there’s a daily limit to the number of visitors and there’s no guarantee of an entry. A little further down the hill is the mighty Sphinx, the world’s largest free-standing sculpture, it looks out serenely over the suburbs of Cairo. After your included lunch continue south to the pyramids at the necropolis of Saqqara. Soon the lush fields give way to barren desert and see the giant ‘step’ pyramid looming above the palms. Built using smaller blocks than the Great Pyramids at Giza, it’s easy to see how the architecture of pyramid-building evolved from a simple square flat-topped mound upon which similar smaller mounds were added. In the distance, further out in the desert, you’ll be able to discern the famous ‘bent’ pyramid, the next stage in pyramid evolution, so-called because the angle was too steep and had to be changed half way up so as to avoid a catastrophic collapse. Early this morning your ship starts its long journey south out of Cairo. As you leave the city behind and pass small farms, canals and plantations of date palms along the way, you’ll see how productive this land has been for so many countless generations. Many farmers here still use methods that would be familiar to their ancestors thousands of years ago. Your tour manager will take this opportunity to invite you to the first of a couple of fascinating lectures on both modern and ancient Egypt. In the afternoon arrive at the small town of Beni Suef where you moor overnight. The second consecutive day of sailing, and by this time you should have settled into the rhythm of ship-board life! After a sumptuous breakfast buffet make your way to one of the three open decks and relax under one of the many comfortable shaded sun loungers or Balinese-style canopied day-beds as the unchanged landscape of the Nile Valley slips by. If you prefer to keep cool in air-conditioned comfort, then there’s plenty of armchairs by the full-length windows of the bar. This afternoon arrive in Minya where you will moor for two nights. After an early breakfast set out with a visit to Tuna El Gebel, the necropolis of Hermopolis, sacred to the Greek god Hermes and his Egyptian counterpart, Thoth god of writing and wisdom. Here you’ll explore the tomb Petosiris, the high priest, and the catacombs which once held thousands of mummified ibis and baboons. After lunch on board, continue with a tour of the little-visited tombs at Beni Hassan, set high above the Nile at the foot of a cliff, with wonderful views across the valley. The tombs belong to the 11th dynasty governors of the region and unlike more imposing royal tombs, here you’ll find wall paintings showing charming glimpses of daily life, with hunting scenes, farming, dancing and even wrestling competitions! This morning arrive in Amarna, site of the short-lived capital of the Pharaoh Akhenaten and his queen Nefertiti. Akhenaten took a brave, and possibly foolhardy, decision to replace the existing ancient complex and powerful theology (and its priesthood!) with a monotheistic cult of the sun-god, the Aten. In order to cement the break from the past he built this brand-new city, with its temples and altars open to the sky, unlike the dark cavernous interiors of traditional temples. After his death his young son, Tutankhamun, ascended the throne and reinstated the old gods, leading to the abandonment of his father’s city. You’ll visit Akhenaten’s tomb, as well as those of some of his courtiers. Return to your ship in time for lunch and continue your journey south, with the opportunity to see one of Egypt’s most important Coptic monasteries as you sail by. Moor in Assyut overnight. 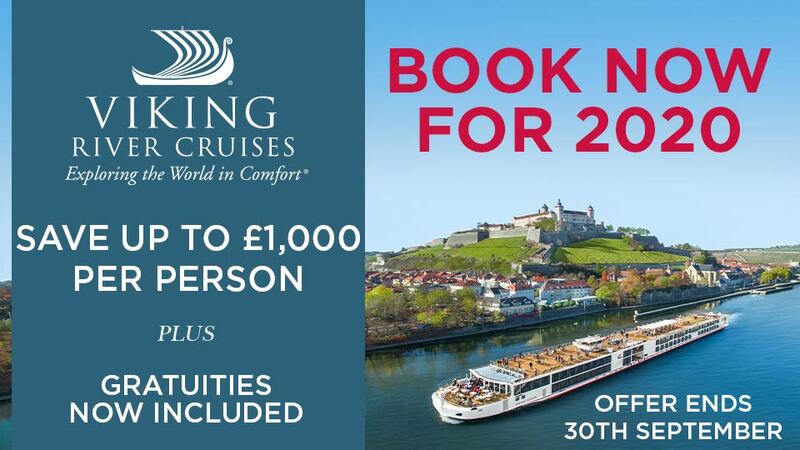 Today continue your journey southwards, with a full day’s cruising, ideal to relax after the busy last couple of days and before seeing the monuments and temples of the second part of your journey. Abydos remains one of ancient Egypt’s most mysterious sites, with the Great Temple of Seti I as its centrepiece. Dedicated to the cult of Osiris, god of the dead, Abydos was a pilgrimage centre for thousands of years and was considered a sacred place to be buried. The temple is known for its Gallery of the Kings, which lists all the pharaohs who preceded them, as well as some strange hieroglyphs which look like modern machines! 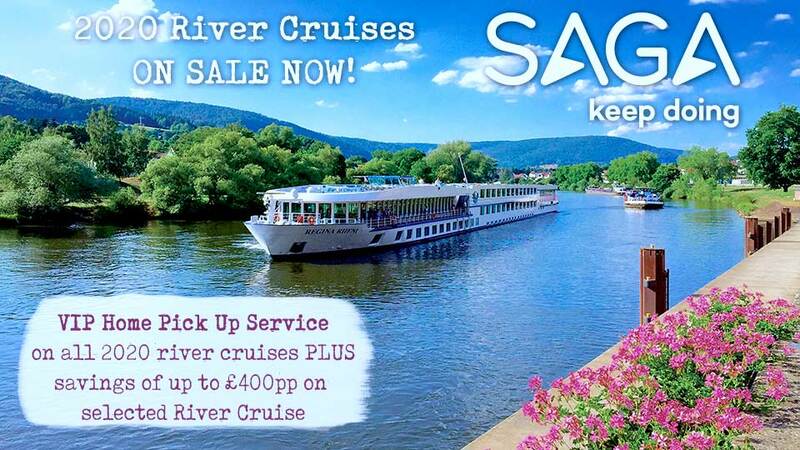 Sail on the Qena where you'll moor overnight. The temple of Hathor is one of the most complete and best-preserved in all of Egypt. Hathor was the Egyptian goddess of love, beauty, joy and healing, and her temple, although only completed in Roman times, nevertheless follows the architecture and style of much older temples. Intriguingly, one of the outside walls has a famous relief of Cleopatra and Caesarion, her son by Julius Caesar, so the famous queen may well have visited the temple. Sail the short distance to Luxor where you moor overnight. An early start today as you are transferred to Luxor airport for you flight home, via Cairo.